If you’ve always thought that warehouses were big, rectangular buildings with little if any design or character, you’ve been on the outside too long. 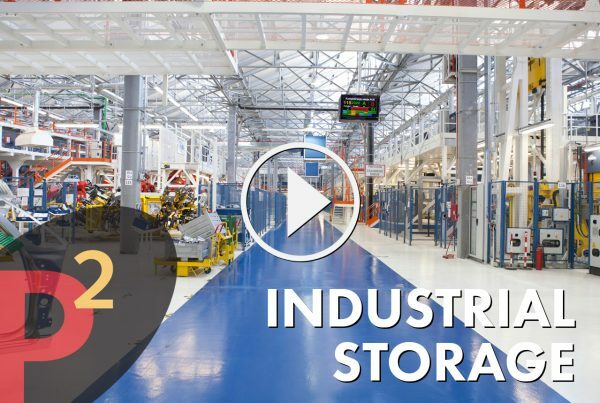 We invite you to examine the many different industrial storage applications available today. 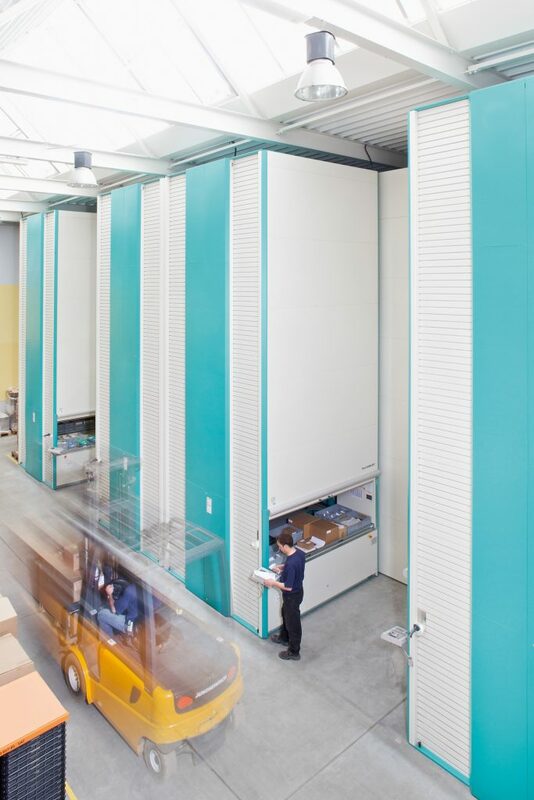 Modern industries’ warehouses demand that their storage solutions be flexible, functional and fine-tuned for the specific environment in which they’ll serve for years to come. There’s always room for a re-imagined space – whether it’s to increase production, offer new products and value-added services, or make room for growth. We’ll help you take advantage of the space you have. There’s nothing more rewarding than seeing solutions in action. Take a look at the range of ways our industrial shelving options can help transform space from passive to incredibly active. 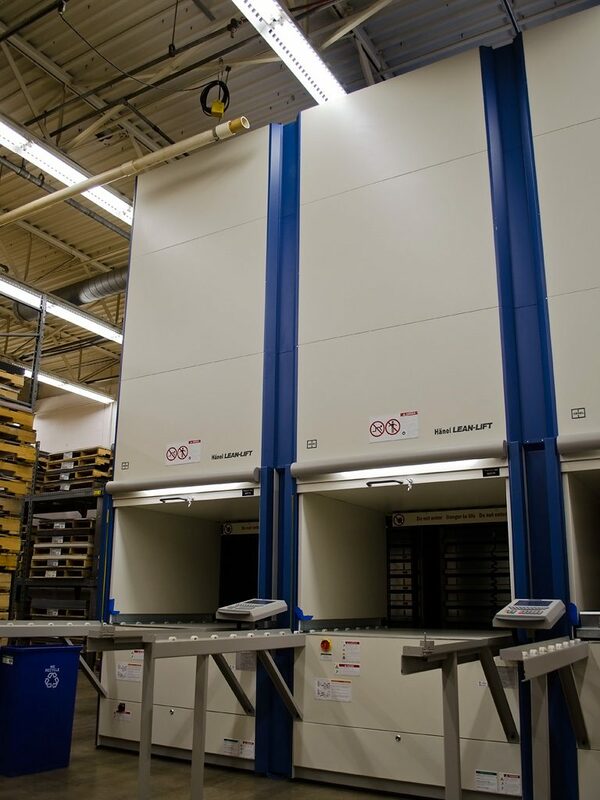 When it comes to meeting today’s industrial storage demands, we rise higher. First impressions are always important. Whether for your employees or the public, your organization’s administrative area or front office is the “face” of your business. Files stored in high-density compact shelving, papers and supplies in bi-files, and even records in smart static shelving can speak volumes about your organization’s…well… organization. 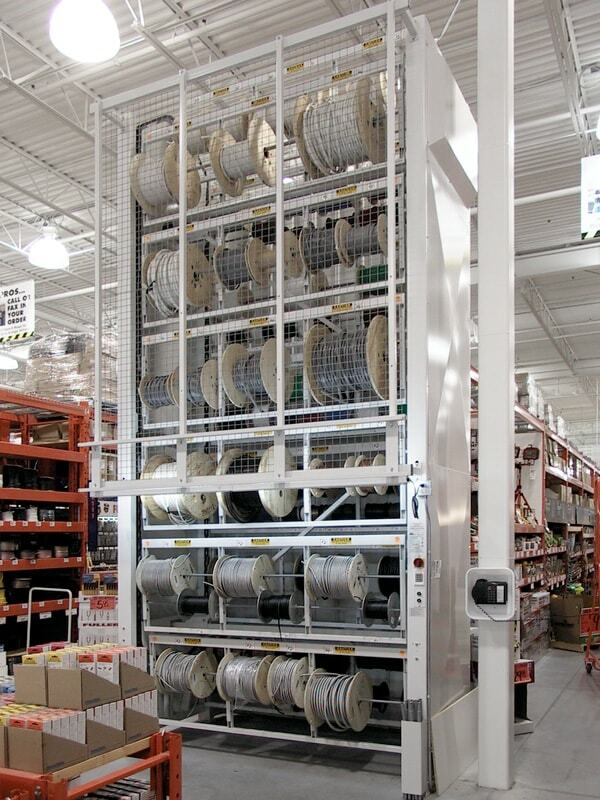 Helping any active warehouse reach its potential is what great storage solutions are all about. A business’s ready-to-be-shipped inventory is its bread and butter, which means keeping it orderly and easily accessible is critical for success. With a variety of 4-post, case-type and other static shelving options at the ready – including the heavy-duty ActivRac system – we’re here to put your business over the top. And speaking of, that includes some innovative high-bay and wide-span options, too. When convenient storage is a must, it’s good to know you can depend on a partner with the options you need. In addition to the work your business does, maintaining that space and the equipment in it is a full-time job, as well. Keeping tabs on your maintenance inventory doesn’t have to be taxing. Options like the Lean Lift vertical lift or the Rotomat vertical carousel from Hanel work wonders. And that’s just the start. Innovation is the name of the game. But creating tomorrow’s breakthroughs means being able to depend on the equipment and tools you’ve got today. 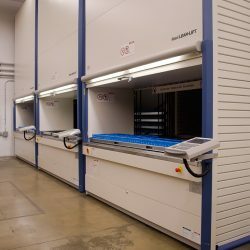 Research and development facilities across the country are using a variety of storage solutions to help them outfit state-of-the-art labs. From modular casework cabinets for beakers and scientific supplies, to tape and media storage cabinets – the right storage can figure prominently in your business equation. Adjustable shelf and organizing modules can also serve as valuable assistants. It’s true in almost every warehouse environment: while your storage may be static, your business isn’t. Your livelihood depends on keeping products and core supplies moving. 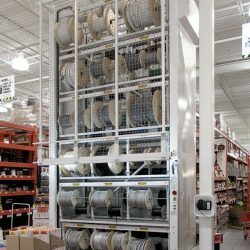 Naturally, the right shelving solution affects capacities, transportation schedules and so many aspects of productivity. 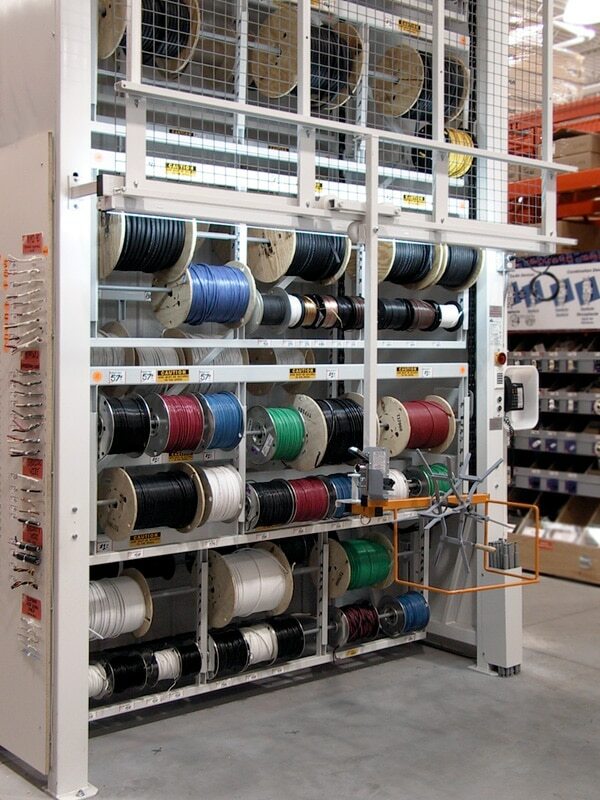 Whether you’re looking for wire cages to house smaller parts or lifts and carousels to accommodate larger catalogs of goods, we give you the help you need. Our inventory of products can help store, support and move yours. 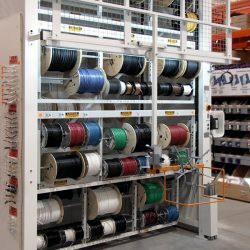 While organization is a science, the reality is that every warehouse manager has a unique system. No matter the size, capacity, height or function, you’re in the right spot to find what you need. 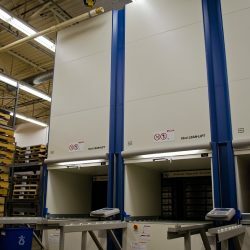 Bin shelving, case-type shelving, 4-post options, and even vertical carousels like the Lean Lift from Hanel can easily be rigged for your environment. No matter how much room you’ve got, there’s always room for the right solution.